Need to test your car battery? We are a team of ASE certified mechanics that have created this guide for you to help you test your own battery without the aid of a tester. This test we also use in our shop which is easy any only takes about 15 minutes. Your car battery is designed as a chemical reactor which uses lead plates to generate voltage. Over time (3 to 4 years) the batteries ability to create voltage diminishes. A battery can fail in one of two ways, the first way is very quickly in others word you go out to your car and no lights will come on and the car is dead. In this case a jump start may not even help because the battery is so far gone it just dumps (pulls in) all the voltage supplied to it. 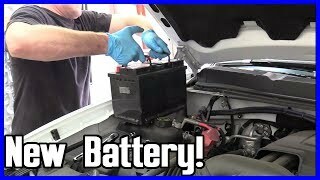 The second way the battery can go bad is a slow decline of voltage which results in slow than normal engine cranking, you will notice the starter sounding a little different. Once you notice this it's up to you to be preventive and change the battery before total failure occurs. The following test will help you discover a weak battery. When working with a battery wear protective eye wear and gloves. Stand clear of the battery while the engine is being cranked over. Open the you car hood to locate the battery and check its condition (some batteries can be located in the trunk or under the rear seat). You are looking for leakage and bulging of the battery sides which are an indication of warped internal plates that can short circuit. You are also looking for corrosion at the positive and negative terminals which can eat away at the metals in the battery cables and will cause a connection problem. 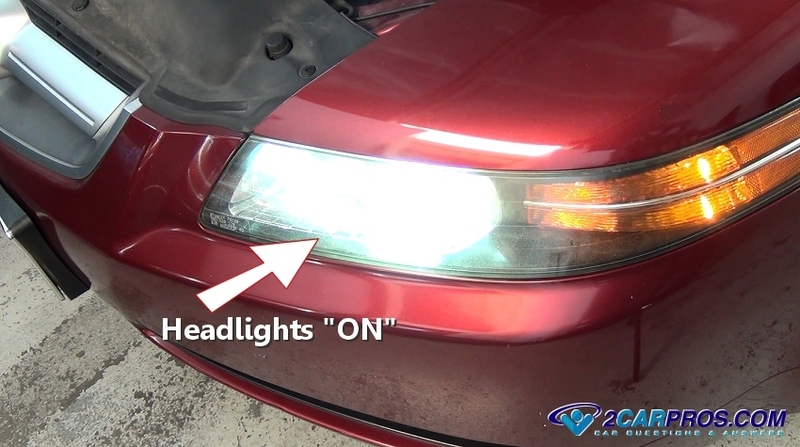 To start the battery test turn the headlights on and leave them on for about 15 minutes (do not start the engine). 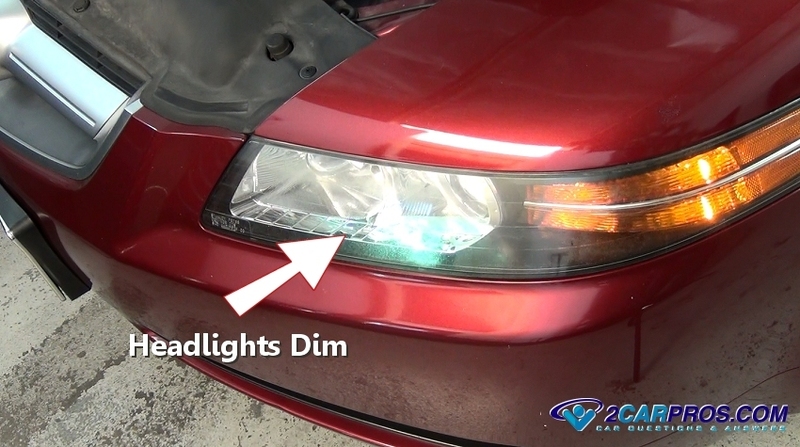 While the headlights are still on crank the engine over and observe the headlight bulb brightness. The bulbs should only dim slightly when using the starter. If the headlights dim way down and go out or you notice the engine is cranked over slowly followed by a machine gun style of clicking noise the battery must be replaced because it cannot supply the voltage needed to operate the car. If the battery is good it will withstand this load test. Here is a video of the car battery load test being performed. A non "deep cycle" battery must have a rest period or "downtime" to allow the plates inside each cell time to cool. A battery subjected to a complete discharge will fail prematurely unless it is a deep cycle battery. All batteries are hazardous material and must be disposed of at a local parts store or recycle center. If the battery warning light has been on while driving the car you will need to test the alternator first. This is because the battery might not be the problem if it is not receiving a proper charge from the alternator. If you have a new battery and it goes dead overnight something in the electrical system is draining the battery down. If you have any questions about battery testing please visit our forum. If you need car repair advice please ask our community of mechanics is happy to help.